The Road Scribes of America is a Fellowship of the Pen ~ the Wind ~ the Road. As described in our mission statement the Road Scribes of America were brought together to foster creativity with respect for each other and service to each other and the writing community. The RSOA will always have a dedicated mission to promote Biker Poetry, but we will be inclusive of any genre or artistic medium, by any member whether Biker Scribe or Scribe of the literary community. 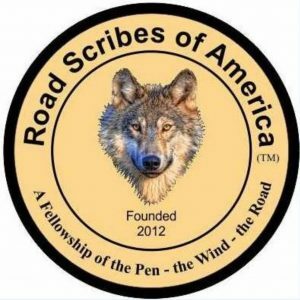 We welcome friends and supporters of the writing community to enjoy our facebook page, our website at roadscribesofamericatm.com, but our Fellowship Hall will be strictly for members of our Fellowship only. 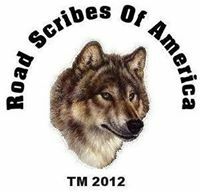 Road Scribes of America (TM) 2012 (as subsidiary of RoadHousePress) is not affiliated with any outside agency, club, or organization and holds no ties to any such entity or person. Our code of Respect is self-evident in the kind of organization we are … a “Fellowship” of mutual benefit and enjoyment of and for each other. Membership in the Fellowship is any genre, style of writing, or other mediums, such as photography, etc., who foster a positive creative spirit, and are willing to give assistance to each other. We are always looking for kindred souls who are dedicated to the pen, the arts, freedom of the road, and to fellowship. Any member may suggest a new member for consideration to our founders. While many members are already well-seasoned, published, and established poets, writers, journalists, editors, or photographers, etc., previous publication is not a point of eligibility. We do, however, place a high value on the raw talent of prospective members, be it with the pen, lens, or brush. At no time is publication by RSOA, or any agent, or publisher of RSOA venues, promised or guaranteed. We shall simply do our best to bring as many along with us on the literary highway or to the stage as is possible. Plagiarism or copyright infringement is not tolerated. We do reserve the duty and obligation to remove any member that violates any such law, whether in letter or spirit of such laws, if it be known to us or brought to our attention. Our Code of Respect toward the writing community, and/or towards each other is the bedrock we are founded on. RSOA maintains a collective spirit of one for all and all for one as paramount to this fellowship. Any creative work that is illegal, inflammatory to any race, creed, or culture will not be tolerated. We simply want to enjoy writing, camaraderie, and creativity. RSOA has no officers and no bylaws – just this simple charter, a few positions such as webmaster, assistants, editorial staff or committees as necessary, etc. , to keep the fellowship productive, and a Code of Respect that fosters unity and fellowship. Decisions that will affect the fellowship of RSOA as a whole, will be made only after the wise counsel of our guardians and discussion , and in keeping with our mission. While the Founder and Co-founder are, by the nature of their definition and their roles , responsible for the overall well being and growth of the Road Scribes of America (TM), the Charter Guardians protect the vision and the mission of Road Scribes of America (TM) by their dedication and by fostering good will and respect. Their counsel is of the utmost importance in all matters that affect the Charter and Mission and the Road Scribes of America (TM). Chartered Members are the heart and soul of RSOA and their wisdom, participation, and service to RSOA and the writing community at large is as outstanding as their writing. While we promote each others individual creativity, and each member maintains their own creative endeavors seperately, the Logo and Trademark of RSOA are not to be used for self-promotion without the permission of Founder and Co-Founder and the discernment of the Charter Guardians that such promotion does not in any way compromise our mission or our Fellowship. Proper crediting of the Road Scribes of America (TM) 2012 is encouraged for all members in order to promote RSOA in the writing community, but RSOA does not hold the copyrights of any individual creation, only of those which are freely given to us for specific use, or for a specified one time use, or that are of a collective work of RSOA, but any intellectual property of any individual remain the property entirely of the creator. Any and all Press Releases or Publications of any individual Road Scribe that is published under the RSOA logo, or the collected works of the Road Scribes of America (TM) 2012 are to be approved by Sorez or MarySusan. The published work(s) of an individual who claims to represent the RSOA are asked to check with Sorez for proper credits to prevent infringement of the collective rights of all RSOA members. Financially we are self-supporting through our own contributions and do not assess any fee or membership dues at this time, however any donations of money, time, and skill will be appreciated and will keep us moving forward with projects and publishings. Any and all expenses of RSOA projects will be discussed and requests for voluntary donations of time or money may be asked from time to time depending on the project or the publishing costs. Any cost to any one member will be recorded and all attempts to repay that person through any profits or donations will be made. We shall strive to remain a not-for-profit organization. If there are any profits after operating costs, production, marketing, printing costs of any project, plus a prudent reserve to keep and maintain websites, mailings,etc. the fellowship will decide a charity to “tithe” the remaining profits, if any. Hopefully, as we grow, we will have gatherings of our fellowship as interest generates and again. We may have fund raisers from time to time to bring to fruition projects, gatherings, or assistance to our fellowship. Any money collected or earned from projects shall be recorded and kept in a non-profit bank account by a treasurer (and assistant treasurer if needed), who will simply step up and volunteer to help with this until such time they can not or do not want to continue to do so. We shall rely on each other’s integrity and brother/sister ‘hood’ to keep our fellowship in good stead and moving towards new horizons that we can all enjoy. A Fellowship of the pen, the wind, and the road.